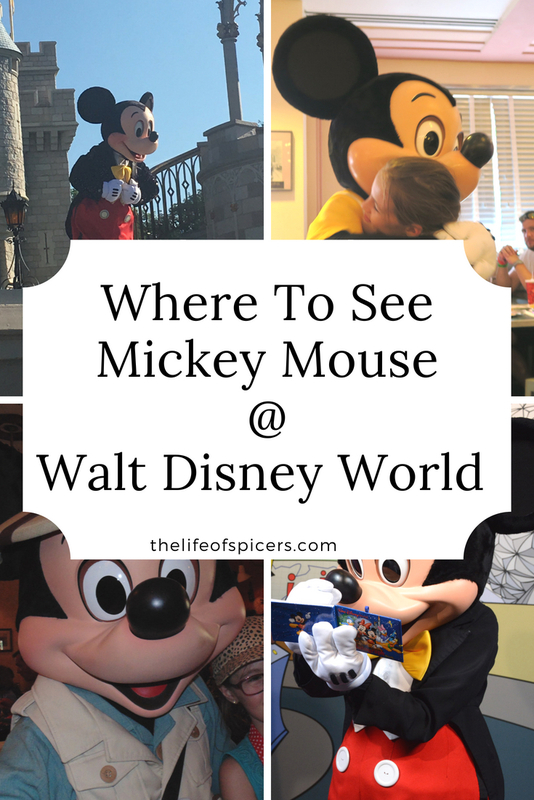 Have you ever wondered where to see Mickey Mouse at Walt Disney World? 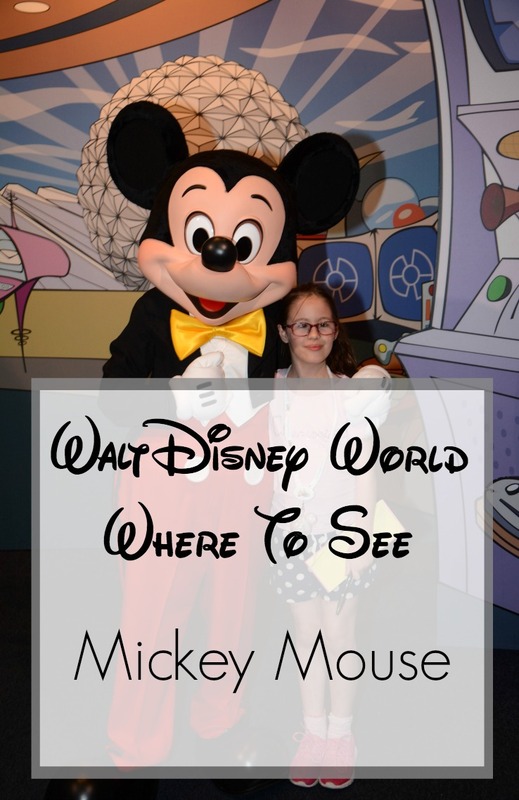 I’m starting a new series here today and I’ll be going through where to meet some of your favourite characters at Walt Disney World. As you enter the Magic Kingdom you can meet talking Mickey Mouse in the Town Theatre. You don’t generally need a Fastpass to meet Mickey but sometimes the crowds are less as the day goes on. 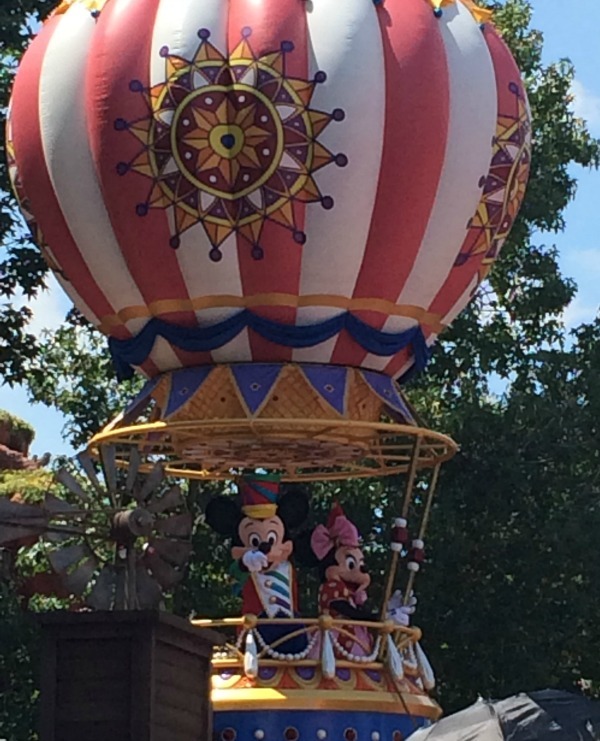 As you walk down Main Street, you may be catching one of the parades. Mickey Mouse can be seen in the Festival Of Fantasy Parade which happens at 3pm each afternoon, or the Move It Shake It Dance It Street Party which happens at varying times through the day. Check your times guide for accurate timing information. If you’re at Magic Kingdom early enough to catch the welcome show, then you will spot Mickey Mouse greeting all his guests to open the show. Currently the welcome show is being hosted on the stage in front of Cinderella’s Castle rather than the Walt Disney railroad station, but Mickey is still there to welcome everyone to a new day in the Magic Kingdom. Later in the day, Mickey Mouse will join the stage again to perform in the daily castle show, Mickeys Royal Friendship Faire. 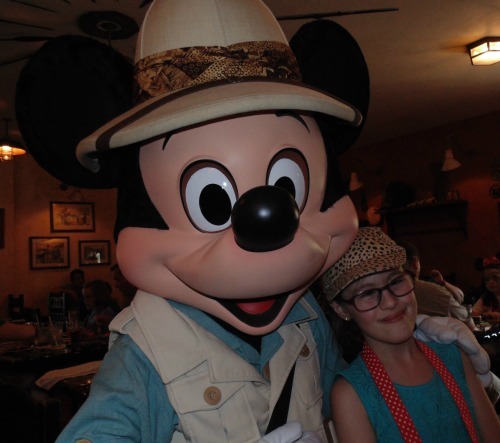 In Animal Kingdom, Mickey Mouse can be found having fun with guests whilst they dine in Tusker House. You can also find him at Adventurers Outpost waiting to pose for pictures and sign your autograph books. Over at Epcot, Mickey Mouse can be found in his traditional outfit at the Epcot Character Spot. This is a great way to meet Mickey, Minnie and Goofy all together in their traditional outfits. Mickey Mouse can also be found in Epcot having fun with his guests in the Garden Grill restaurant. If you’re popping over to Hollywood Studios you can expect to find Mickey Mouse at the new Minnie’s seasonal dine in Hollywood and Vine restaurant. He can also be found starring in his own show Fantasmic as Sorcerer Mickey. A show not to be missed. For the younger guests, if you’re taking a rest watching Disney Jnr Live on stage, you can expect to see Mickey Mouse make an appearance. Mickey is also currently starring as Sorcerer Mickey for meet and greet in Red Carpet Dreams. 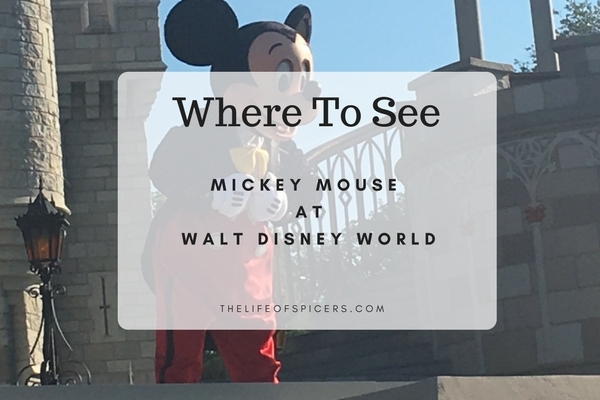 Mickey Mouse can be found in other locations outside of the Disney parks. If you’re eating at Ohana for breakfast, you will be greeted with Mickey Mouse as well as Lilo and Stitch at the character meal. Over at Fort Wilderness Campgrounds, Mickey Mouse can be found hosting his own backyard BBQ. He also has his own restaurant located in the Contemporary Resort known as Chef Mickeys. have you spotted Mickey Mouse anywhere else?